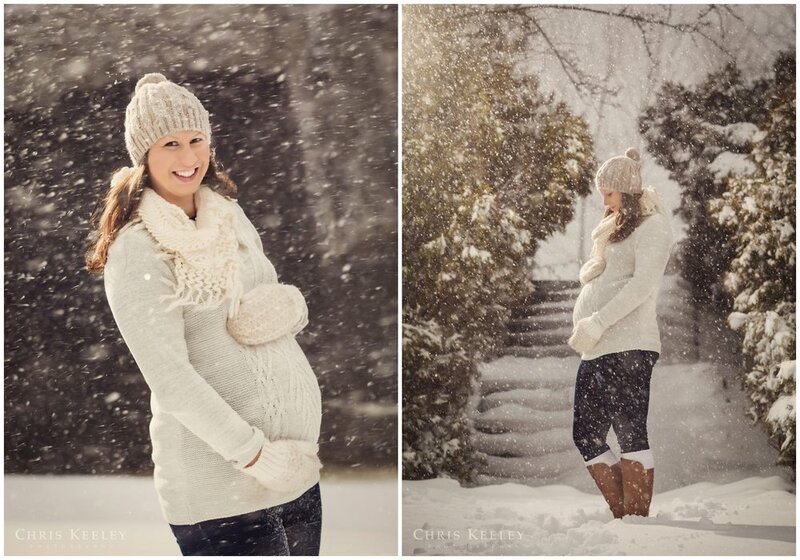 Winter Maternity Session For the Win! "What's the most extreme weather you've photographed in?" Eileen asks as we get out of our cars and snug up our winter wear. Later on when we reviewed the images at the ordering appointment, we agreed, it was 100% worth braving the winds and sideways snow. Thank you, Winter Storm Skylar. The world is my studio! We made beautiful images for this little one's nursery and a nice portrait of Eileen & Andy to go over the dresser in their bedroom. (Finished products shown here). Finished Products. Maternity portraits printed on canvas.